The days are ticking away and Halloween will be here before we know it. If you haven't already begun to think about your children's Halloween costumes, now is the time to do it. This year's children's costumes are steeped in rich Hollywood themes and the most popular costumes are at HalloweenAdventure.com! 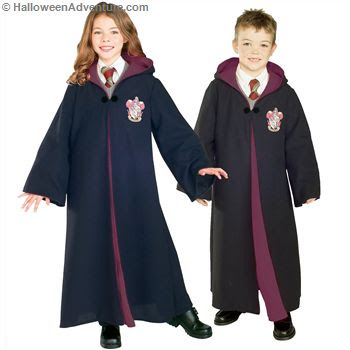 Having difficulty in deciding which Hollywood children's costumes are right for your children? No problem! As always, Halloween Adventure is here to help. Grab a few of these children's costume ideas or visit HalloweenAdventure.com to find your own! 1. Clone Trooper Commander Cody: From Star Wars: The Clone Wars animated series, Commander Cody is in control this Halloween. Our impressive Commander Cody costume is perfect for the adventuring boys and girls in your household. Available in child's sizes small, medium, and large, the Commander Cody costume accommodates children of all ages! 2. The Incredible Hulk: Our officially licensed Incredible Hulk child's costume, is enough to make other superheroes green with envy. This year's Hulk costume is available in muscle chest and inflatable fashion to give your child a muscular physique just like the green giant, himself! 3. High School Musical: Those talented teens from Disney's High School Musical have become some of this year's hottest costumes! Gabriella, Sharpay, Troy and the gang are trendy, talented and ready to trick-or-treat in style this Halloween! 4. Jedi Master: Star Wars: The Clone Wars has sparked interest in a new generation of Star Wars fans. The vivid visuals and fast paced action sequences have inspired boys and girls all over the country to emulate their favorite Jedi Master this Halloween. 5. Harry Potter: Harry Potter and the Half-Blood Prince may have been delayed but little ones are ready for a magical Halloween adventure anyway! As always, Harry is hot this season! 7. Ahsoka: Another cool, fearless role model for little girls! Ahsoka from Star Wars: The Clone Wars is sure to be a big hit with young, adventure seeking girls this Halloween. Our Ahsoka child's costume includes a comfortable jumpsuit and Ahsoka's unique blue and white headpiece just like the one she wore in the movie! 8. Batman: Any time we discuss hot costumes, Batman always comes up. Batman: The Dark Knight was super-hot this summer and the Caped Crusader and his arch enemy will be even hotter this Halloween. Our children's Batman costumes feature plain and muscle chests and are available in a wide array of styles. So, there you have it. The hottest Hollywood inspired children's costumes are at HalloweenAdventure.com and they're sure to please your little adventurer or glam queen this Halloween!